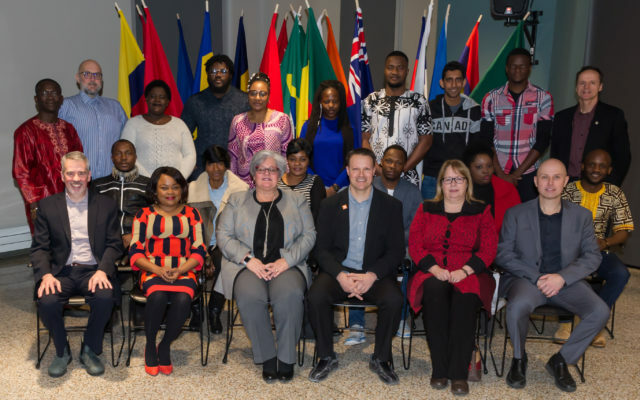 The 18th Northwest International Week, which runs until Feb. 8, officially launched on Monday, Feb. 4, in public areas of the University of Moncton, Edmundston Campus (UMCE) and Community College New Brunswick - Edmundston Campus. EDMUNDSTON, New Brunswick — The 18th Northwest International Week, which runs until Feb. 8, officially launched on Monday, Feb. 4, in public areas of the University of Moncton, Edmundston Campus (UMCE) and Community College New Brunswick – Edmundston Campus. The opening was attended by dignitaries in the colors of the flags of the 40 countries represented in the region, by student, students, college girls, college students and community members. Practitioners and stakeholders who took the floor noted the importance of open and mix with others, in short, enrich each other in a context of diversity. The two post-secondary institutions in Edmundston and the Northwest Newcomers Resource Center (CRNANO) combined with new efforts to provide the entire regional population a full agenda. There are almost 100 students, students, schoolgirls and full-time college students this year with the study permit to study in Canada, which is certainly a record attendance for the two institutions. Here are the 40 country members of staff and students attending UMCE and CCNB – Edmundston campus and members of the community in northwestern New Brunswick: Algeria, Australia, Belgium, Benin, Bosnia and Herzegovina, Brazil, Bulgaria, Burkina Faso, Burundi, Cameroon, Canada, Chile, Colombia, Comoros, Ivory Coast, Spain, United States, France, Guinea, Haiti, Mauritius, Indonesia, Madagascar, Mali , Mexico, Morocco, Moldova, Niger, Philippines, Poland, Democratic Republic of Congo, Republic of Congo, China, Romania, Senegal, Syria, Chad, Togo, Tunisia and Ukraine. The activities organized as part of International Week 2019. Thursday, February 7, 18: 30 pm, Public Library Mgr WJ Conway: “Living Library”. Thursday, February 7, 21: 30 pm, bar student FIRE “World Beer tasting”. 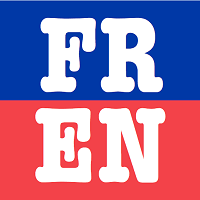 Friday, February 8, 18: 30 pm, student center Édupôle “International Dinner”. Note that the activity is presented sold out. All activities of the International Week are free (except international dinner) and open to the public. During the week, shows the storyteller Wahmed Ben Younes and African dance workshops and lively djembe Johanne Philippe and Michel Fortin will be offered in the Northwest schools. The program of the Northwest International Week is made possible with the financial support of Canadian Heritage and population growth Division of the Department of Post Secondary Education, Training and Labor for New Brunswick.